Fashion For Life 2014 is a must see event and benefitting such a worthy cause! Everyone one of us know someone who, at one time or been affected by the effects of cancer, either personally or a loved one. Please show your support, for this event. Much work, has gone on, behind the scenes, by so many unsung heroes, who main objective is to help fight the disease of cancer! 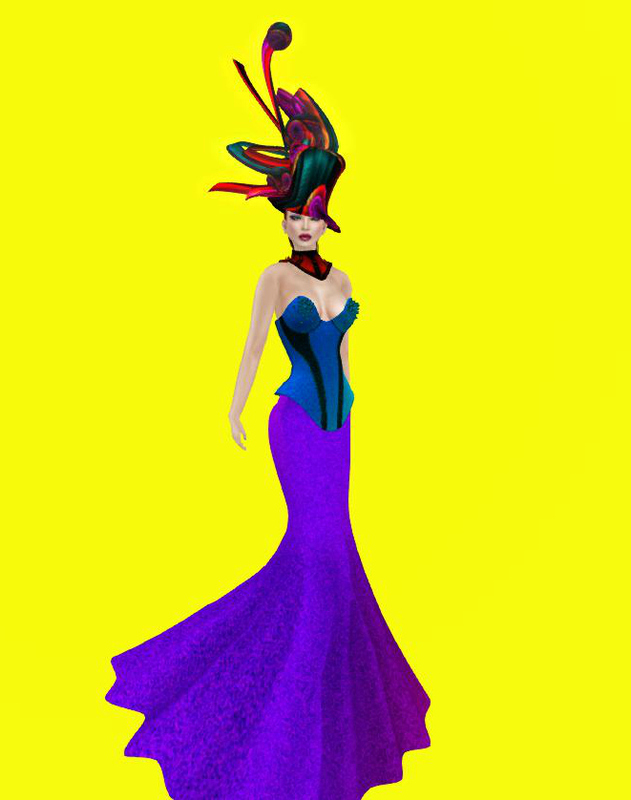 Fashion for Life, which runs until June 20th, is the oldest Second Life Fashion Event, which showcases some of Second Life’s best designers and creators! 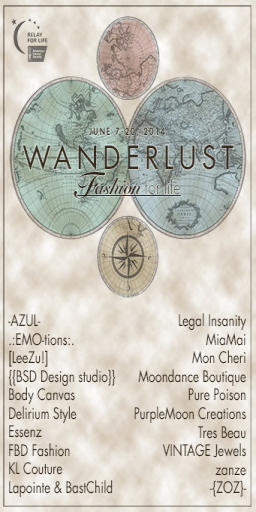 This year event has more than 150 fabulous designers of clothing, accessories and poses! The event is spread across 10 sims. So, please, come, buy, and have a wonderful time! Kaerri Rae, one of the best furniture, home decor, and stage designers, I have the pleasure to know, has now launch her exciting clothing line. It is making it’s debut at Fashion For Life 2014! It is a glorious black and white collection, of casual elegance. The Kazimir Beach Collection is understated sophistication, that will get you through the many moments of your day spent outdoors loving and living life! I have on, the Kazimir Black Tank Top, Classic Beach Shorts, and carry the Kazimir Black Bag. I am the picture of walking poshness, yet relaxingly comfortable, in a look that will take me, beautifully, to the beach, out to lunch, shopping, or to a private assignation. The Black Tank is an asymmetrical one shoulder, modified slanted V slashed tank top, which looks delicious on for those sultry sunny days of summer. The Classic Beach Shorts are cuffed, front single pleated, wide hip waist banded 6 button detailed, loose fitting shorts, that you will find yourself reaching for time and time again. I just love them on and how well they fit with the tank! What can I say about the bag, other than a handful of fabulous! 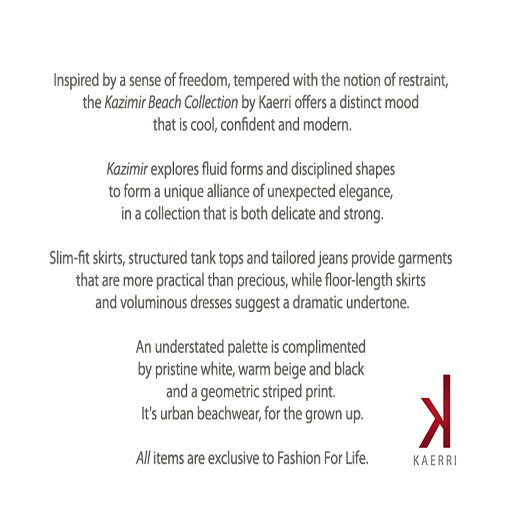 Do come and buy the sophistication of a glorious summer, when you purchase from The Kazimir Beach Collection, by Kaerri Rae….you will not be disappointed and will be supporting a great cause! I thought it would be helpful, to you, to have the SLURLS for the various FFL Sims and stores landmarks, for the sims they are located on. Once you land, at the main teleport location, double click again, your landmark, to get to your desired store location. FASHION FOR LIFE is an event supporting Second Life’s Relay For Life campaign to raise funds for the American Cancer Society. All the stores participating have exclusive items that are sold only at the FFL site and all sales of these items go to RFL charity. So come now and enjoy shopping while you contribute to RFL! 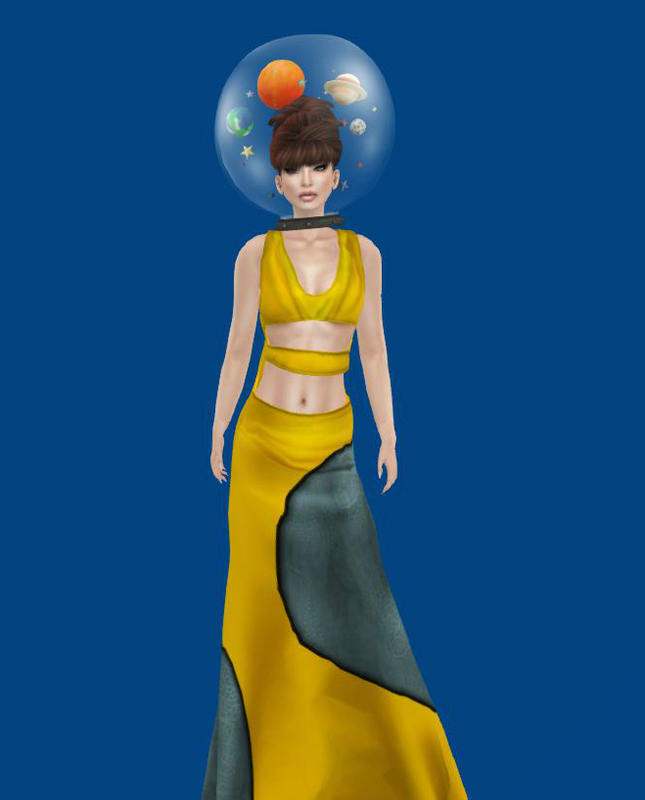 The event runs over 10 sims and it is open till June 20, midnight SLT. Have fun shopping and supporting a very worthy cause! See ya there!